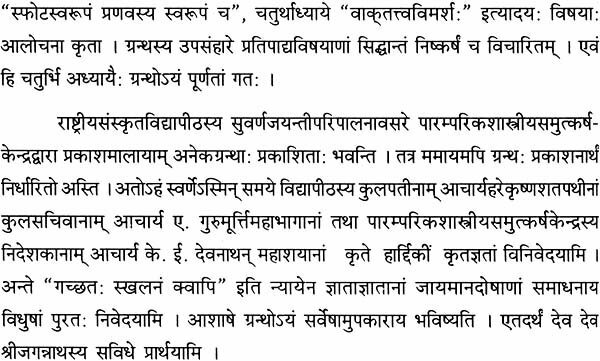 The book is a study of the languages of Vedic and classical Sanskrit, as one notices many differences between them. 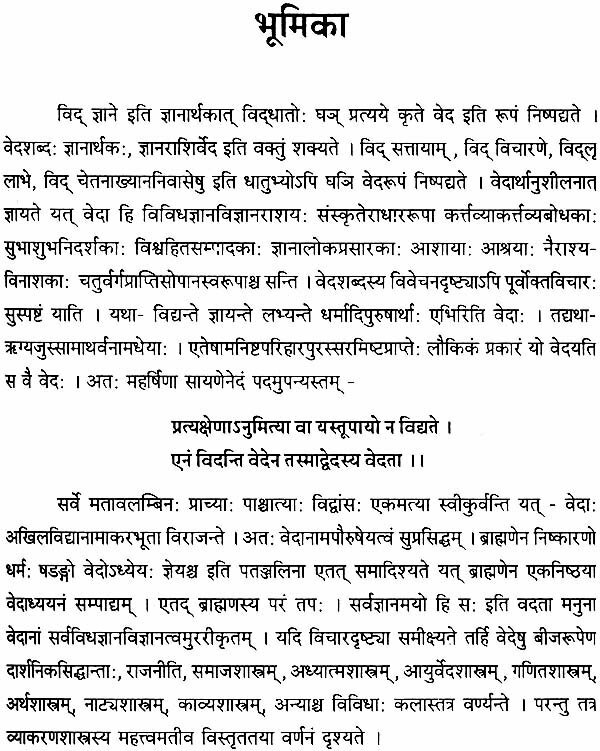 For example, for the word 'deva', Veda uses the form 'Devasa' and for 'Kame', the word used is 'Karnebhih' and so on. 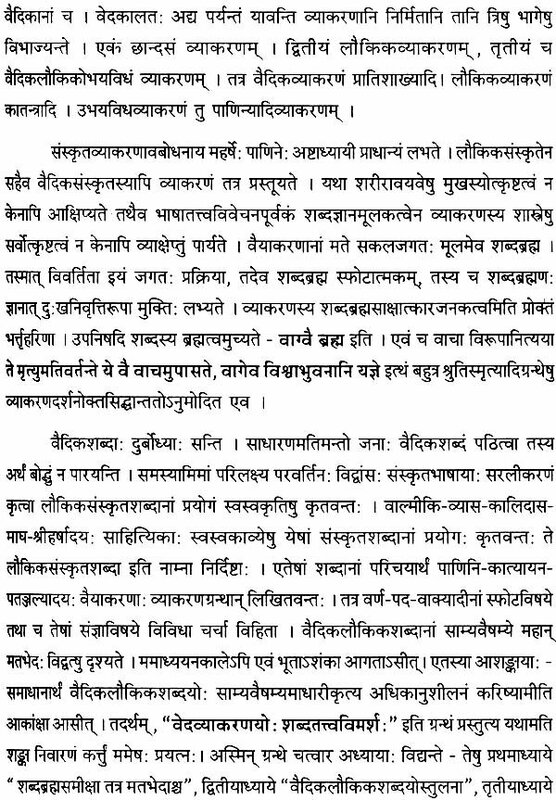 These differences are explained with the help of Vyakarana and Nirukta, in the present work. 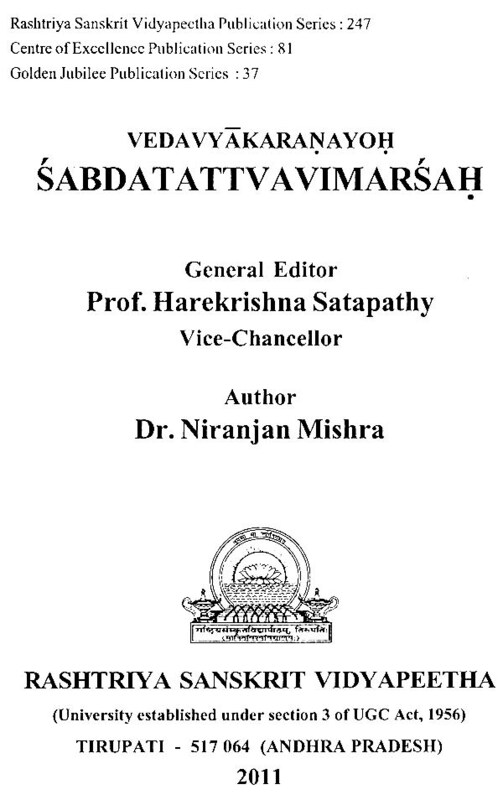 The book has four chapters dealing with the topics l. Sabdabrahmasamiksa 2. 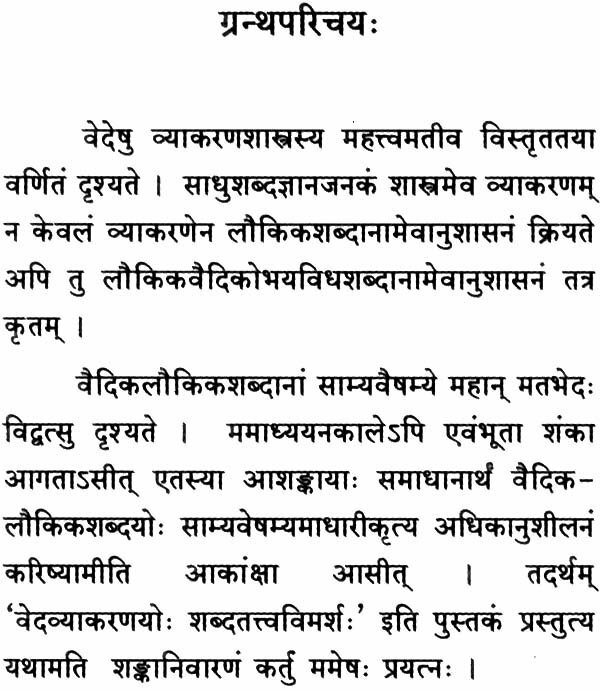 Vaidikalaukikasabda- yostulana 3. 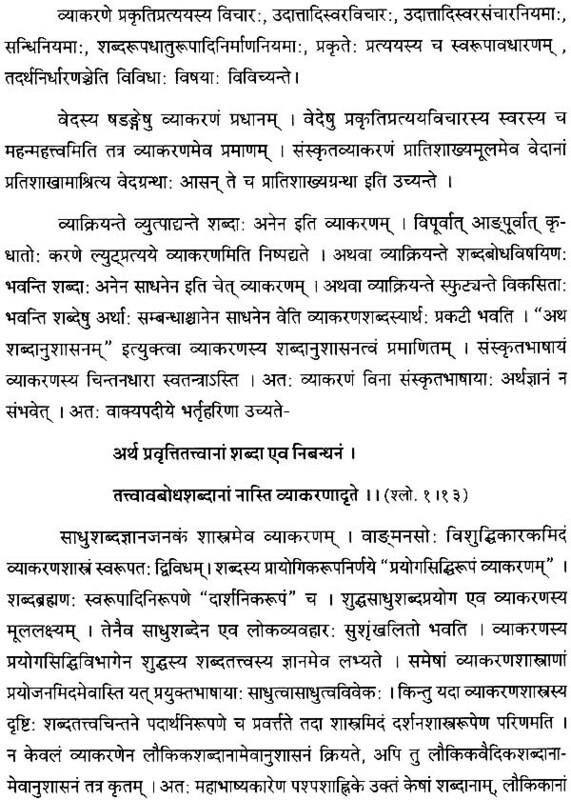 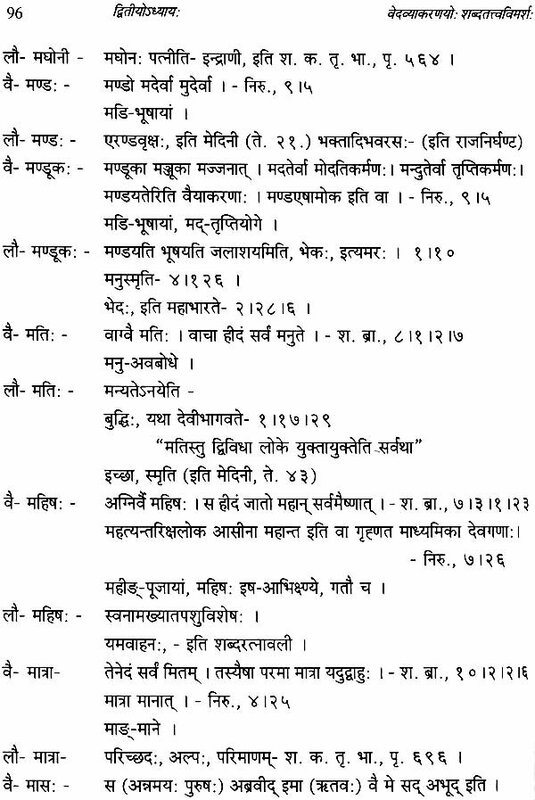 Sphotasvarupam, Pranavasvariipaiica 4. Vaktattvavimarsah.